AirPod has established its own cryptocurrency. Called APOD, the project’s tokens will soon begin circulating between the AirPod and its customers — effectively creating one internal economy. Customers will be encouraged to utilize APOD tokens when renting pods for a substantial discount, and companies will be motivated to purchase APOD tokens for their employees who need to travel frequently. APOD token distribution will be split into two phases: the pre-sale and the crowdsale. 200 million APOD tokens will be available for purchase at only $0.10 per token, and payment will be accepted in Ethereum tokens (ETH). There will be a soft cap set at $2.7 million and a hard cap set at $20 million. During the pre-sale phase, 140 million APOD tokens will be made available for purchase – with a minimum investment of 1 ETH and a maximum investment of 300 ETH. A 30 percent bonus will be applied during this phase until the soft cap of $2.7 million is hit. After that point, there will be an 18 percent bonus applied. 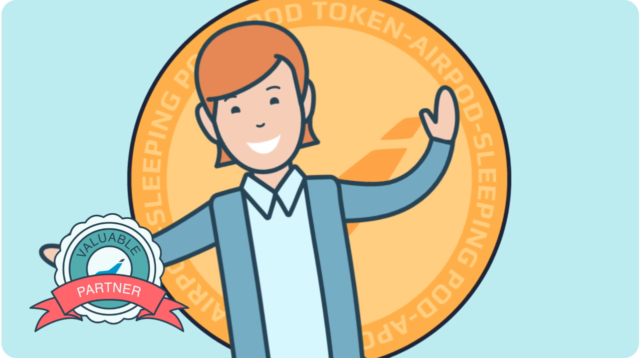 One of the main benefits of holding APOD tokens is the ability to take part in AirPod’s sponsorship program. Once the 400th AirPod unit is placed, token holders will be able to exchange tokens to participate in profit generated by AirPod units. By using AirPod’s own web application to access the Sponsorship Program, token holders will have the option to convert their tokens into a sponsorship of already established AirPods. The platform will allow investors interested in sponsoring an individual AirPod to access financial analysis of each location free of charge, helping them decide which AirPod is right for them. In the event multiple token holders are interested in one particular AirPod location, interested parties will be able to bid on the AirPod in question. With higher interest comes higher costs to participate in the Sponsorship Program. Only APOD tokens may be used for the Sponsorship Program, and only APOD tokens will be paid out. Sponsors may also buy a percentage of each sponsorship, as well as sell it to other interested parties. Furthermore, additional sponsorships may be created for a specific percentage of other AirPod units. Participants in the program receive their monthly reward payouts to the account they’ve created on AirPod’s Sponsorship platform. In addition to sponsoring a specific AirPod, token holders will also have the ability to propose new AirPod locations via a partnership program. During the partnership stage, AirPod beings “Placement on Demand” — effectively enabling the setup of an AirPod and the connection to the network. Partners will be able to either own or lease a specific location, after registering on AirPod’s platform, which collects all of the required personal information. Applications are also responsible for providing applicable permits and cost information. AirPod will either approve or decline individual requests. In the event an application is approved, parameters are written into a Smart Contract, and APOD tokens are paid out as rewards. These APOD tokens may be sold on an exchange or converted into fiat currencies via the ERC20 credit card provider. Additionally, said tokens may be used to make further investments into new AirPod locations. The cryptocurrency market is subject to extreme volatility, which is ineffective at creating a stable economy. However, AirPod’s internal economy won’t be affected by typical volatility, as the ecosystem and network will continue to grow and expand – thus increasing value and bringing in lasting rewards for token holders and participants in the sponsorship program. People will always need to travel, and AirPod will always be there to accommodate. To learn more about AirPod and the programs tokens, check out the project’s official website. What do you think about AirPod? 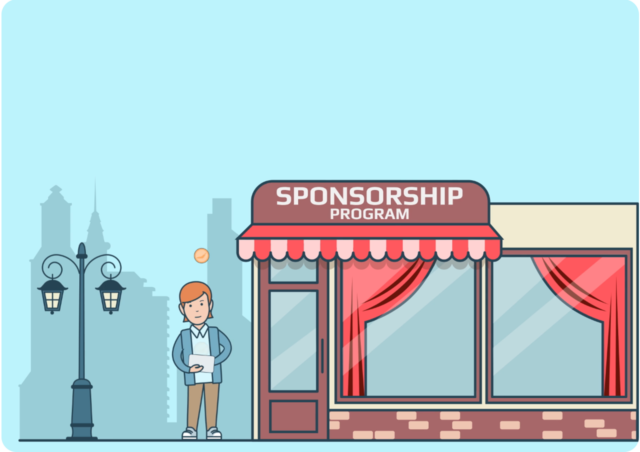 Are you interested in the sponsorship program or becoming a partner? Let us know in the comments below!